Lyrea Crawford is approved by the National Certification Board for Therapeutic Massage and Bodywork (NCBTMB) as a continuing education Approved Provider. She is also recognized as an instructor by the Yoga Alliance (E-RYT 500 & YACEP) and the Thai Healing Alliance International (THAI). WI LMT #2584-146; NCBTMB Approved Provider #450824-08. Included in Lyrea's background are in-depth studes of Upledger's Craniosacral Therapy; Barral Institute's curriculum in Visceral & Neural Manipulation and Manual Articulation; and Chikly's Lymph Drainage and Brain Therapy. Lyrea completed Scott Anderson's 500 hour Alignment Yoga program and continued with him for additional alignment studies. She also has extensive training in Traditional Thai Massage, both in Thailand and on the North American continent. In addition to the courses shown below, Lyrea currently offers instruction in Aligned for Vitality Yoga, Wu Style T'ai Chi Ch'uan, and Coherency Training (a method of meditation). Course Description: Traditional Thai Massage is a beautiful and elegant therapeutic healing modality. It dates back 2,500 years and is said to embody the practice of "loving-kindness." The work consists of slow rhythmic compressions on the muscles, gentle rocking, deep flowing stretches (similar to assisted yogic asanas) and thumb presses on specific energetic pathways. The basic theory of the work is to open and create space within the body, balancing it and allowing it the freedom to move and work harmoniously. Traditional Thai Massage is performed in a quiet meditative atmosphere on a mat on the floor. This enables the practitioner to use graceful whole body movements and even pressure. The client is dressed in loose comfortable clothing. The client and practitioner work together with conscious awareness of the breath. During the course of a treatment, practitioners utilize their thumbs, fingers, hands, elbows, knees and feet to manipulate and stimulate the body. The major emphasis of the Level 1 class is to provide step by step demonstrations of the supine and sitting positions along with ample supervised hands-on practice to gain proficiency. You will receive instruction in proper body mechanics, practitioner preparation and self-care through yoga. We will also look at the history, philosophy, benefits and contraindications of Traditional Thai. By the end of Level 1, you will be able to give a complete Thai session, adapting it to the needs of your client. Traditional Thai 2 training amplifies the solid foundation that students received during their Level 1 studies. Course work continues with step by step demonstrations of the lateral recumbent and prone positions along with ample supervised hands-on practice to gain proficiency. A greater depth of information is provided about indications and contraindications. Approaches to different working situations such as the massage table are demonstrated, and students go through an exercise of treating a client seated on a chair. With a large repertoire of techniques now available, emphasis is placed on choosing the most appropriate techniques for each client’s situation, and adapting the techniques as needed. Students receive further instruction in proper body mechanics, and practitioner self-care. By the end of Thai 2, students have a working familiarity with a diverse range of Thai techniques and are able to give sessions that are tailored even more specifically to each client. Saurday, August 17 thru Tuesday, August 20, 2019. Class Location: Hillsboro, WI, in the "Vitality Center" on Lyrea's rural home property in southwest Wisconsin. Please contact Lyrea for info on lodging, etc. Class hours: 10 AM to 7 PM on Saturday, 9 AM to 6 PM on Sunday, 8 AM to 6 PM on Tuesday, and 8 AM to 4 PM on Tuesday with a one hour lunch each day. CE hours: 32 THAI and NCBTMB CE hours per class. Space in classes is limited and there are only a few spots left. Registrations are accepted in the order they are received. Pay in advance via Paypal (includes credit or debit card options), or mail a minimum $250 deposit and your contact information at least 10 days in advance to: Lyrea Crawford, 18918 County Highway D, Hillsboro, WI 54634. Please note that if you send a check you must use the mailing address above. The Vitality Center does not have its own mailbox and any mail sent to the Vitality Center will be returned by the post office. If a class is already filled or cancelled, your deposit will be refunded. Otherwise deposits are not refundable. • Techniques to improve alignment and muscle recruitment patterns. This class is open to Massage Therapists, Yoga Teachers & Practitioners, and anyone interested in deepening their awareness of body alignment. Dates: The next class will be scheduled based on interest. Please contact Lyrea for more info. Class Location: Hillsboro, WI, in the "Vitality Center" on Lyrea's rural home property in southwest Wisconsin. Class hours: 9:00 AM to 5:00 PM on Friday and Saturday, and 9:00 AM to 4:00 PM on Sunday, with a 1 hour lunch each day. Registration: Space in classes is limited. Registrations are accepted in the order they are received. Pay in advance via Paypal (includes credit or debit card options), or mail a minimum $195 deposit and your contact information at least 10 days in advance to: Lyrea Crawford, 18918 County Highway D, Hillsboro, WI 54634. If a class is already filled or cancelled, your deposit may be applied to another class or refunded according to your preference. Otherwise deposits are not refundable. What are your hands contacting when you touch a body? What information is that body conveying to you? 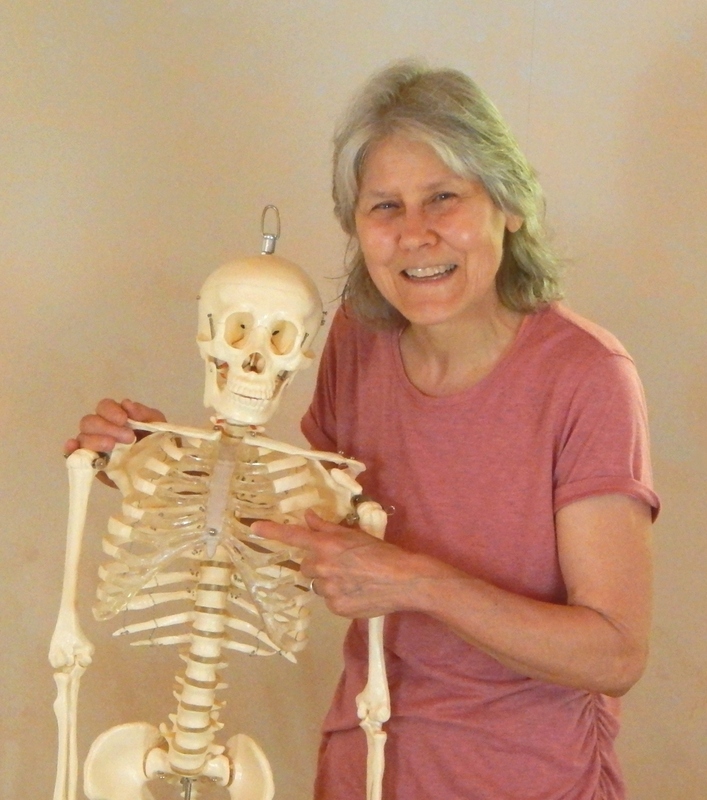 During this hands-on class you’ll refine your palpation skills and learn to distinguish subtle tensions in muscle, fascia, nerves, blood vessels, organs and bone. You’ll learn soft-touch assessment and treatment techniques that will radically transform the way you approach a therapeutic session. You'll learn to delve deeper into the body in a very gentle way. This course is designed for Massage Therapists and other professionals, but there will be no specific prerequisites to meet. Dates: This class is scheduled based on interest. Please contact Lyrea for more info. CE hours: 20 NCBTMB CE hours. For more information on Lyrea's classes, please call (608) 383-3589 or click here to send an email.